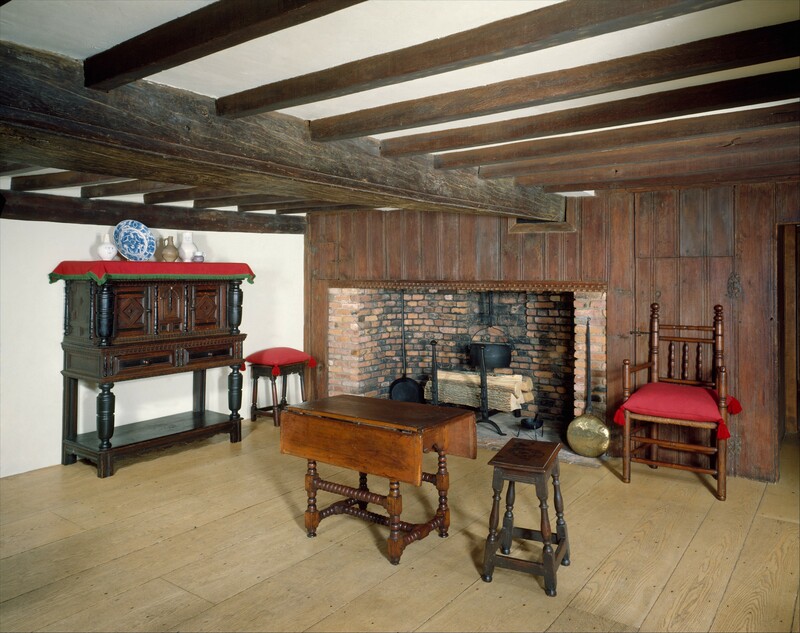 Image 1 – Room from the Hart House, Ipswich, Massachusetts, 1680. I have to admit; I’m a girl who enjoys the finer things in life and therefore this room feels a little too rustique to me. My hubby loves it. But too bad for him. I’m the decorator in this household – no early colonial style here 😉 That said, I do appreciate the large wood plank flooring and the exposed beams in this room, and I can imagine a more sophisticated version of this early colonial style which I would be able to love. In fact, many interior designers can re-imagine the early colonial style in a more modern approach. There are many contemporary designers who create beautiful and comfortable spaces inspired by the rustic appeal of this period as we can see in Image 2. In order to create a rustic feel in a space, many of today’s interior designers and architects borrow elements from the early colonial style. This is what American interior designers Stephen Sills and James Huniford of former Sills Huniford Design did. They used early colonial elements to create a relaxed and informal room in a country house in the hills of Westchester County, New York, as seen in Image 2. The room in this country house has some early colonial elements. The ceiling is low and has rough exposed beams. The fireplace is large and central. The walls are not white but still have an uneven look similar to the colonial style walls. The floor is made of wide wood plank. Although it may not be as wide as the typical flooring from the early colonial period (Image 1), it is still considered wide for today’s flooring standards and reinforces the colonial feeling. Sills and Huniford even used red textiles as accent which was typical of this period. However, they introduced modern furniture. The chairs, benches, tables, and accessories are modern with the exception of the 17th-century oak armoire which the top is seen on the left side of Image 2. Now this is an early colonial inspired room I could happily live in. The combination of the rustic elements typical of the colonial period with comfortable modern furniture makes this room a perfect country retreat. I can definitely see myself cuddling up in that chair by the fire with a glass of Bordeaux and my favorite design magazine. 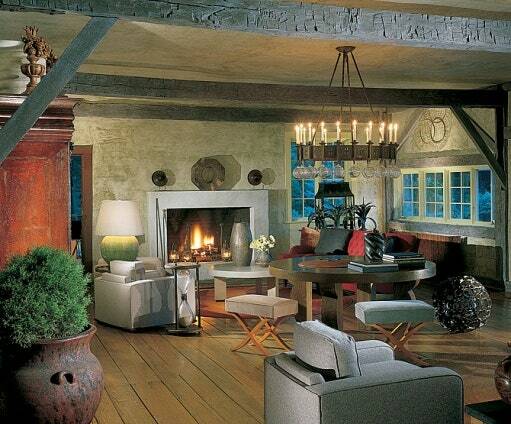 An early colonial room just needs some designer’s touch to make it a cozy, country getaway.